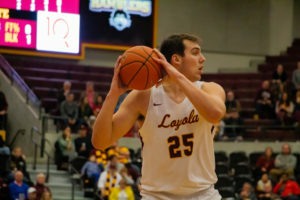 A piece of a Loyola campus shuttle bus’ body partially detached, swung upward and shattered the glass of one of its windows as the shuttle arrived at the Lake Shore Campus Friday afternoon. 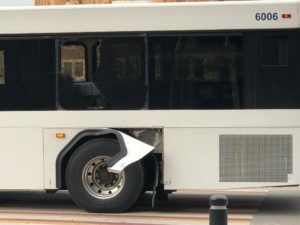 Campus Safety and university officials said they’re unaware how a flap above the shuttle’s wheel came off and shattered a window, but told The Phoenix they’re still investigating. Campus Safety also said at least one minor injury was reported. Multiple officers, a fire engine and an ambulance were spotted in front of the Father Arnold J. Damen, S.J. statue near where the shuttle drops off and picks up around 1:45 p.m. Dec. 7. Mariel Ronquillo, 19, was on the bus when the incident happened. 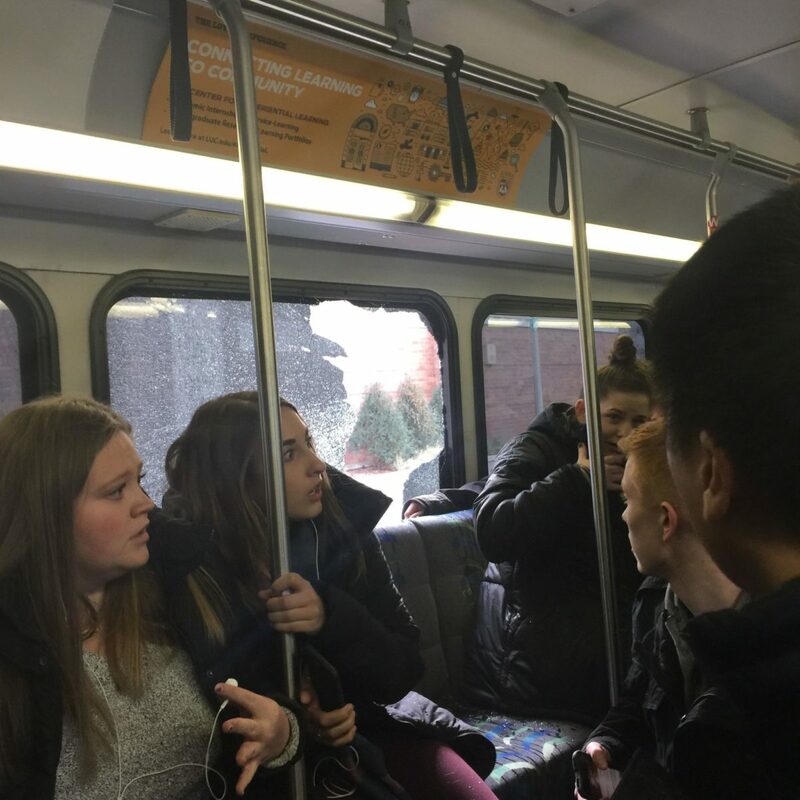 She said the bus was in motion driving up the curved road into campus when a sudden boom was accompanied by the startling sight of glass shattering. Ronquillo, a sophomore accounting major, said she “felt shards of glass ricochet off my lenses” of her glasses. The bus immediately continued into the dropoff location, pulled over to the curb and began to let students off. It was then, Ronquillo said, some students began to notice a female student’s forehead was bleeding after apparently being struck with a glass shard. Ronquillo said it was scary, but also that students were helping the injured student. 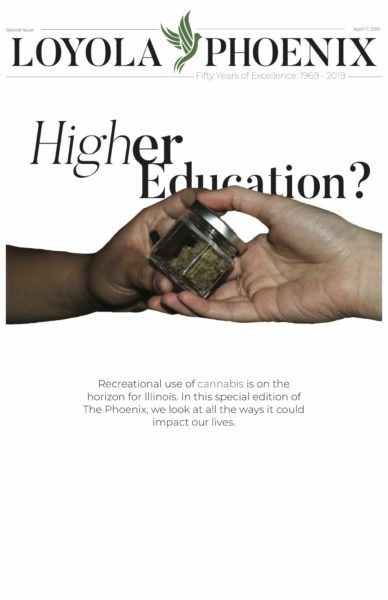 Campus Safety told The Phoenix one student stayed behind to report an injury. It’s unclear if that’s the same student.